Land Rover is working on a mid-cycle update for its Discovery Sport, the current generation of which was introduced for 2016. An early tester has been previously spotted wearing a modified front fascia with new intakes added and existing ones enlarged. Autocar reported Friday that Land Rover is planning more substantial changes than your typical mid-cycle update. It’s part of the automaker’s plan to offer electrified power in all models by 2020. The British magazine reported that Land Rover will introduce an updated version of the current model’s D8 (also referred to as LR-MS) platform. The updated platform, which will offer more space and capacity for electrified powertrains, will also feature in a redesigned Range Rover Evoque due about the same time. Specific details on the powertrains are hard to come by but Autocar predicted that the base model will come with a mild-hybrid setup and above this will be a plug-in hybrid setup. Interestingly, the plug-in hybrid setup is said to integrate a 1.5-liter inline-3 as its internal combustion component. The same powertrains should also feature in the redesigned Evoque. While there should be only evolutionary changes on the outside of the updated Discovery Sport, Autocar said to expect a major improvement in interior design to better rival popular newcomers like the Volvo XC60, which has one of the best interiors in the small SUV segment. We’ll probably see Land Rover introduce its latest infotainment system featuring multiple screens, which first appeared in the Range Rover Velar. 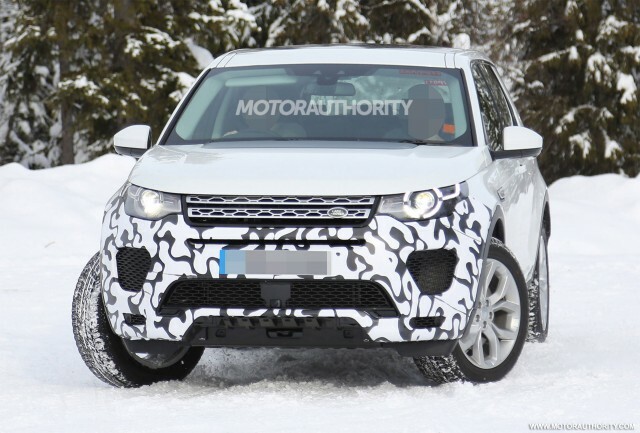 Look for a debut of the updated Discovery Sport in early 2019. It should be on sale later that year as a 2020 model. Expand your mind in this week's comments thread!